Jean Patou Joy Eau de Parfum Spray, 1.6 fl. oz. In 1930, legendary designer Jean Patou created JOY, as a work of art, to chase the Depression blues away. This lavish scent combines extremely rare flower varieties in an outstanding concentration. JOY is a fragrant fusion of elegance and opulence and it remains a symbol of quality and prestige. Item Condition: Packaging for this item may be different than retail packaging. 100% authentic, new item. 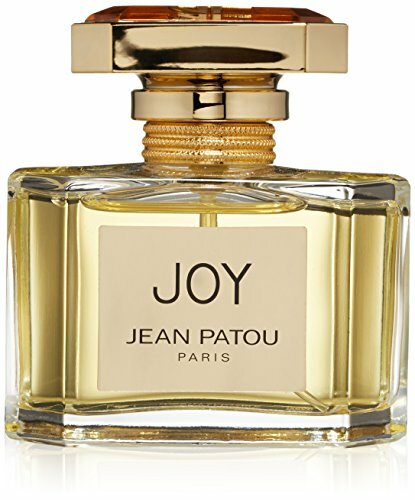 Joy by Jean Patou for Women 1.6 oz Eau de Parfum Spray. Joy by Jean Patou for Women 1.6 oz Eau de Parfum Spray: Buy Jean Patou Perfumes - First launched in 1930, leading couturier Jean Pateau created Joy as a gift to American women who could no longer afford his clothes following the stock market crash of 1929. Joy is an extravagant floral bouquet based on the rich notes of Jasmine and Rose selected for their impeccable quality and origin. If you have any questions about this product by Jean Patou, contact us by completing and submitting the form below. If you are looking for a specif part number, please include it with your message.